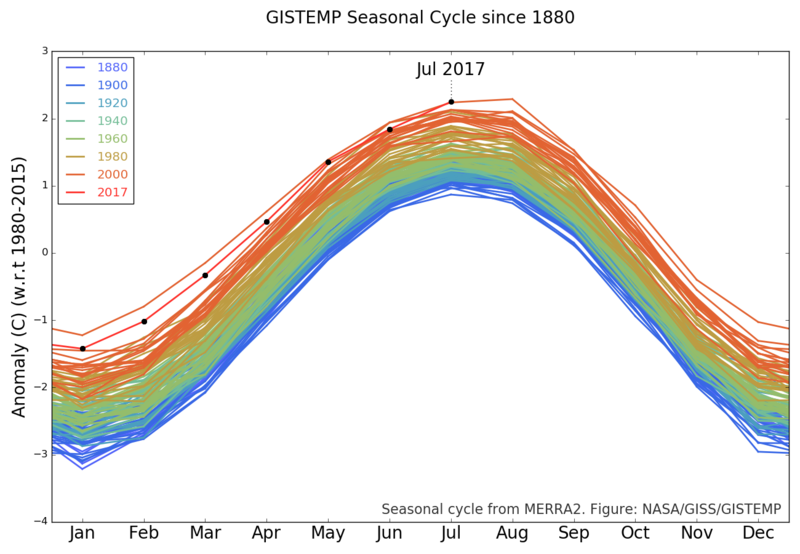 July 2017 was statistically tied with July 2016 as the warmest July in the 137 years of modern record-keeping, according to a monthly analysis of global temperatures by scientists at NASA's Goddard Institute for Space Studies (GISS) in New York. Last month was about 0.83 degrees Celsius warmer than the mean July temperature of the 1951-1980 period. 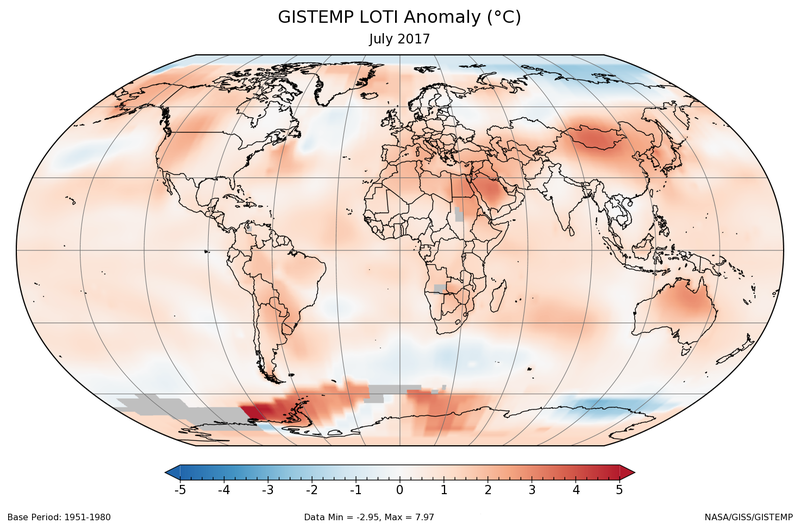 Only July 2016 showed a similarly high temperature (0.82 °C), all previous months of July were more than a tenth of a degree cooler. Starting with this update, the previously used ocean data set ERSST v4 was replaced by the newer ERSST v5. This contributed to the changes of some of the data in last month's update. For more information, see the Updates to Analysis and the History Pages.